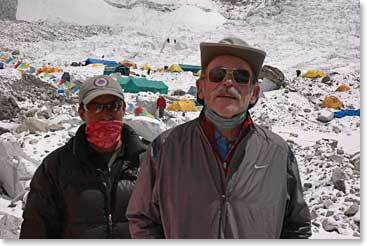 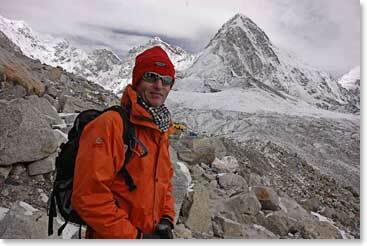 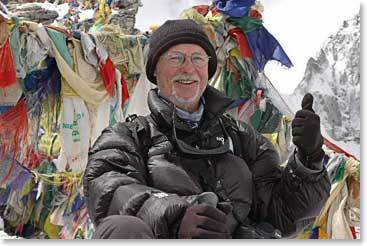 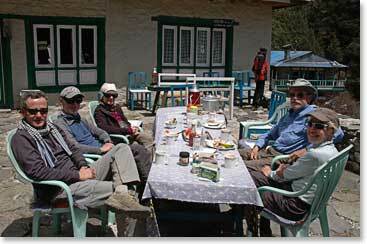 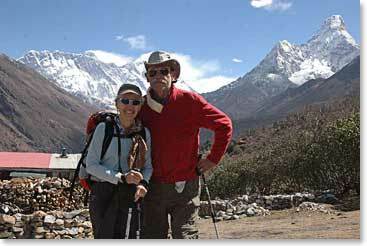 Temba reported to us today that the team is back in Namche. 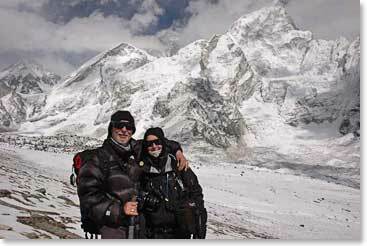 At 11,400 feet (3,500 m) above sea level, Namche is high altitude when a trekking group first arrives, but on the way home it seems like a return to the lowlands; even though the town is supplied by yaks and porters and the grandest mountains in the world still tower overhead. 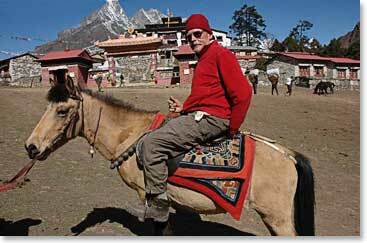 The air is thicker, the showers hotter and the internet faster in Namche. 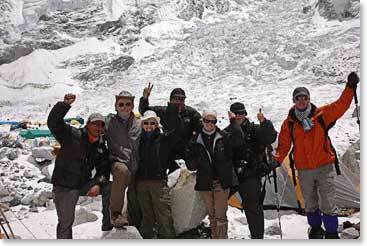 Temba sent some great photos of the group’s journey to Everest Base Camp. 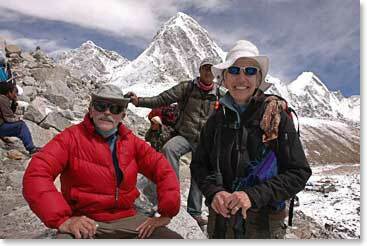 We heading home, but still marveling at the world’s greatest mountains. 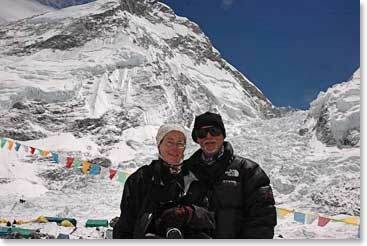 Janet and Jim with Everest and Ama Dablam behind.